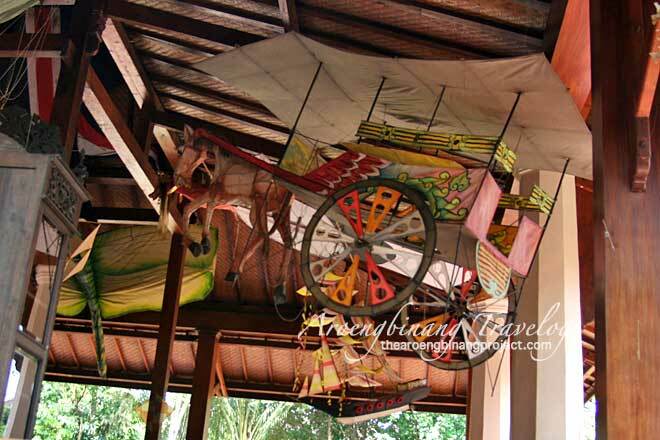 Museum Layang-layang Indonesia (Indonesian Kite Museum) is a private-run museum that stores dan displays kite collections from different regions of the country. The Indonesian Kite Museum is located at Jl H. Kamang No.38, Pondok Labu, South Jakarta, which can be accessed through Jalan Fatmawati. 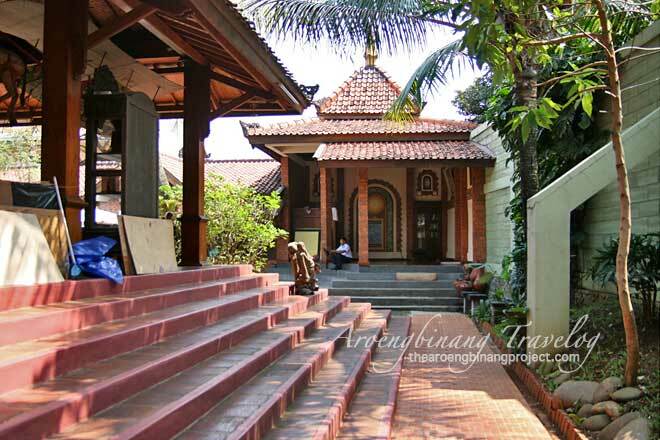 It was not so easy to get to this museum the first time I came there, because its location is not on a major road, and there are a number of T-junctions along the way, but that's more because I did not or did not know yet the streets in the area of Jalan Fatmawati. When visiting the Kite Museum several years ago, the museum's main building was relatively small, with several other buildings around it being used for various activities, including creative activities for children organized by the museum. 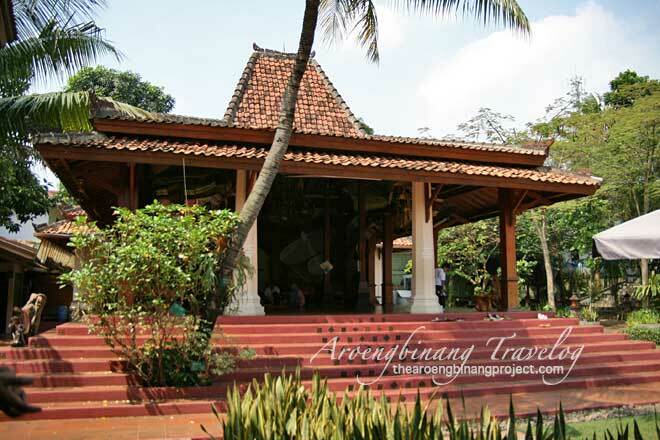 The main building of the Joglo-shaped Jakarta Kite Museum, a typical Javanese building, with a combination of wooden and concrete poles, and a semi pyramid-shaped roof. It's a pity that at that time I was not allowed to photograph the collection of kites. The officer who accompanied me said that I needed to make a proposal in advance and submit it to the manager to get a photographing permit. The procedure is inconvenient and there is a sense of disappointment also because I have come from afar to visit the museum. Therefore only a few photos that I can take from outside the main building. A collection of carriage-shaped kite that was on display in the outer area of the Kite Museum. Later I heard the rules at the Kite Museum were more lax, and visitors can take photos inside the museum, especially those who bring their kids. Prohibiting visitors from photographing museum collections is the right of owners and managers, it just becomes unattractive to be visited by those who like to take pictures. Moreover, human memory in general is very limited if not assisted by photos of the objects they saw. Except those who are awarded with photographic memories, who remember and can describe in great detail what they have seen before. Joglo Building The Kite Museum is viewed from the side by a musholla at the corner of the location. In the Kite Museum, children can learn how to make and decorate kites they made. There are also other activities that can be done by children, namely making ceramics, painting shirts, umbrellas, mini puppets and learn to make batik. Access: Take the bus Lebak Bulus passing Jalan Raya Fatmawati, down on Jl Haji Kamang (about 50 meters after SDN 01 & 05 Pondok Labu if coming from North, or 50 meters before if coming from the South). Continue to ride a motorcycle taxi or walk about 375 m.
By private vehicle, drive car to pass Fatmawati Hospital on Jalan Raya Fatmawati, continue to south as far as 1.5 km where there is a road to the right, 50 meters after SDN 01 & 05 Pondok Labu, turn right to Jl Haji Kamang. Continue 375 m, the Kite Museum is on the right side of the road. Label : Jakarta, Museum, South Jakarta, Travel.